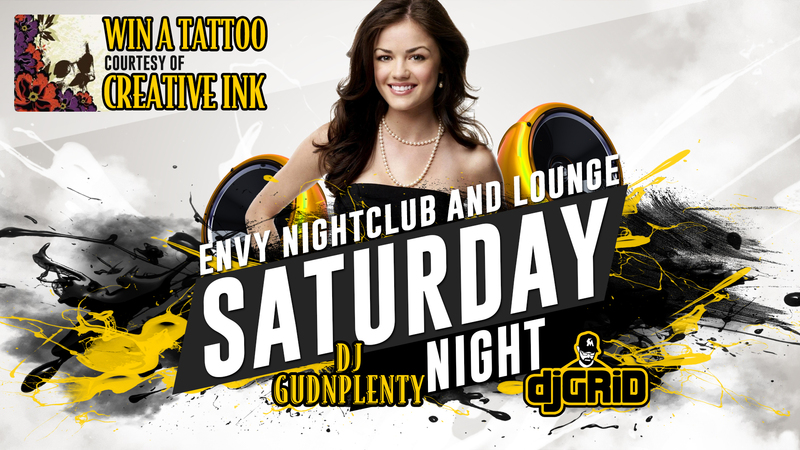 DJ Grid & DJ GudNPlenty are back at ENVY Nightclub and Lounge in Mesquite and they are bringing all the hottest Top 40 / Hip Hop / EDM / Mixes and Remixes with them. We’ll be celebrating DJ GudNPlenty’s Birthday and we’ve teamed up with Creative Ink of St. George to give away some tattoos! Creative Ink tattoo shop in St. George has hooked us up with a $100 Gift Certificate and a couple of $50 Gift Certificates for a few lucky people to win! All this AND free Fireball Swag will definitely make this a night NOT to miss!